Glen Ellen homes are some of the most sought-after in Sonoma County Wine Country. 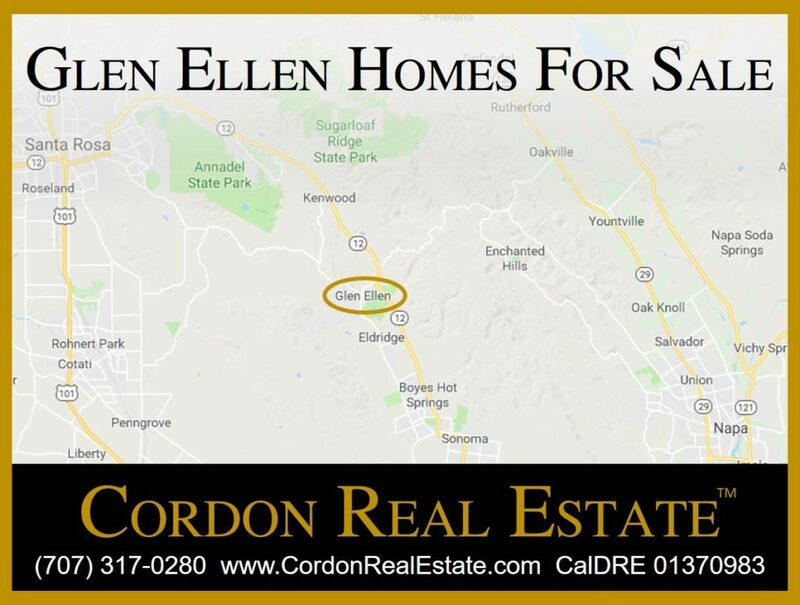 Minutes from downtown Sonoma or Santa Rosa, Glen Ellen is centrally located and offers the finest in Wine Country living. View current listings below and bookmark this page, as listings are updated automatically throughout the day.